This is a clip for The Cloverfield Paradox. It was written by Oren Uziel and Doug Jung, directed by Julius Onah, and stars David Oyelowo, Gugu Mbatha-Raw, Ziyi Zhang, Elizabeth Debicki, Daniel Brühl and Chris O’Dowd. It is currently available on Netflix. Check out the synopsis and clip below. 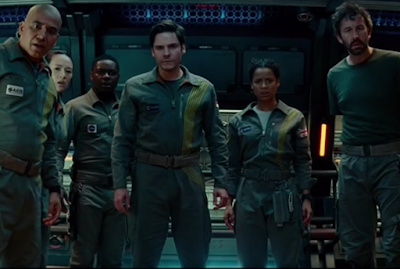 "A team of astronauts make a shocking discovery and end up fighting for survival."